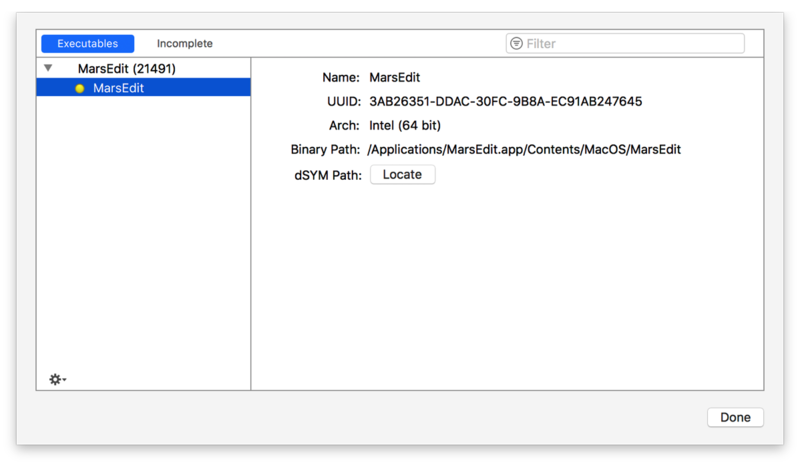 Xcode 9 changed the way you locate a dSYM file if you’re seeing memory addresses instead of function names in the call tree view. Now you choose File > Symbols to locate the dSYM file. Select the app you’re profiling on the left side of the sheet. Click the Locate button to find the dSYM file.